"The Poirot I've written about is absolutely in every detail Agatha Christie's Poirot. The originality and innovation comes in with the story. My way of making it new is to bring an exciting and intriguing case for Poirot to solve...."
"With my other books, the only reputation at stake is my own. I was very conscious of making sure I did Agatha proud and didn't let her down...."
"I have read the Poirot novels several times each and I just know him....I know him in the same way I know my husband and kids...."
"Having read all of her books more than once and having been so influenced by her, I just instinctively know what kind of story would appeal to her and what her priorities were in storytelling. You can tell that by reading all of a writer's work...."
"Most crime fiction plots are not ambitious enough for me. I want something really labyrinthine with clues and puzzles...."
Anyone slightly familiar with Sophie Hannah's crime fiction surely appreciates that Hannah enjoys constructing labyrinthine plots and puzzles in her books. 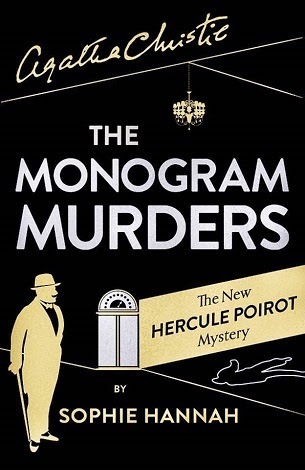 Unfortunately, in her just-published debut Hercule Poirot detective novel, The Monogram Murders, once Hannah has led her readers into her murder maze, she has considerable trouble getting them out of it. More than a few Agatha Christie fans are questioning whether The Monogam Murders really reflects, not only the personality of Christie's iconic Belgian sleuth Hercule Poirot, but the Queen of Crime's basic storytelling priorities. In my view the novel frequently does not. The Monogram Murders opens in 1929, with a chapter reminiscent of the late Christie novel Third Girl (1966). Poirot encounters a mystery woman named Jennie, who seems to be in fear for her life. Jennie makes intriguing cryptic comments about her plight ("Oh, please let no one open their mouths!") before fleeing from Poirot into the night. Even here, however, what seem to me false notes concerning Poirot's character are struck. First, the encounter takes place in a "coffee house" that, though "in a part of London that was far from being the most salubrious, made the best coffee Poirot had tasted anywhere in the world." For those of us used to Poirot delicately sipping tisane, chocolat, creme de menthe and sirop de cassis, the idea of this well-traveled Continental often dismissive of English gastronomy not only grabbing coffee at an insalubrious London coffee house--he eats beef chop and vermicelli souffle there too, incidentally--but actually finding it the best coffee he has had in all the world seems well-nigh inconceivable. Then there's the fact that Poirot is staying at a lodging house just down from his own flat, for what he calls a "rest." This seems odd behavior for our Poirot, even if the lodging house is "impeccably clean." 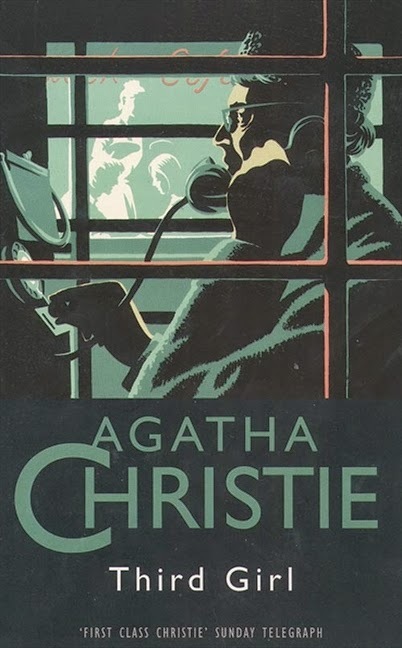 Christie fans have pointed out elsewhere in The Monogram Murders things that have struck them as additional anomalies in Poirot's personality: he walks in the cold night, he rides a bus to ruminate, he draws with his finger in the mud. But I don't want to get bogged down in what some might dismiss as Poirot pedantry (however, Hannah herself has made this an issue by insisting that her Poirot "is absolutely in every detail Agatha Christie's Poirot"). 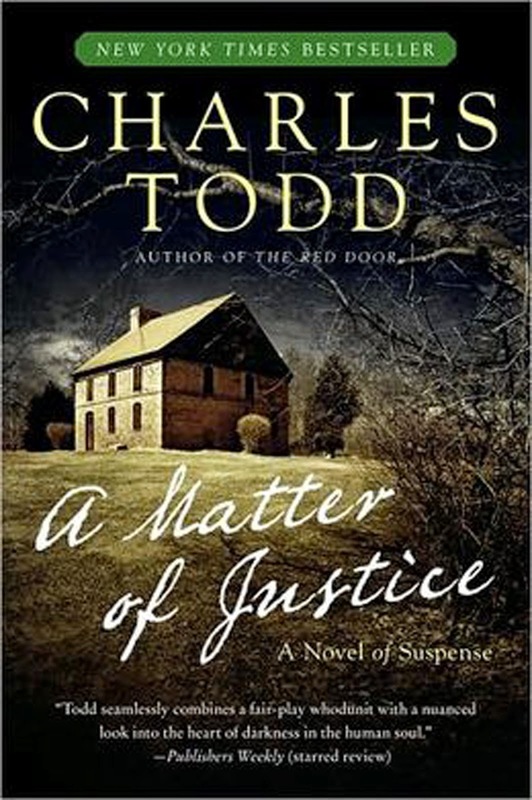 With this novel I have what I deem more serious problems, having to do with narrative and plot structure and depictions of character (in addition to Poirot's) and setting. Sometimes Catchpool is alone or with Poirot, describing things at first hand, while sometimes Poirot is on his own, with the narrative shifting to third person. I found this distracting--though I preferred the third person narrative to that told in Catchpool's own voice. Catchpool may vie for the title of most tiresome and inept Scotland Yard policeman in the history of British crime fiction. Besides being dumb as a box of rocks, Catchpool is one dismal fellow. Never have I so missed Poirot's perennial Golden Age "Watson," Captain Arthur Hastings. Hastings may not be the brightest bulb in the art deco chandelier, but he is of course merely an amateur assistant to Poirot and there is a great deal of charm and affection in the Poirot-Hastings relationship, as portrayed by Christie. I discerned neither charm nor affection in the Poirot-Catchpool relationship. Throughout the book Catchpool struck me as a miserable and glum individual. 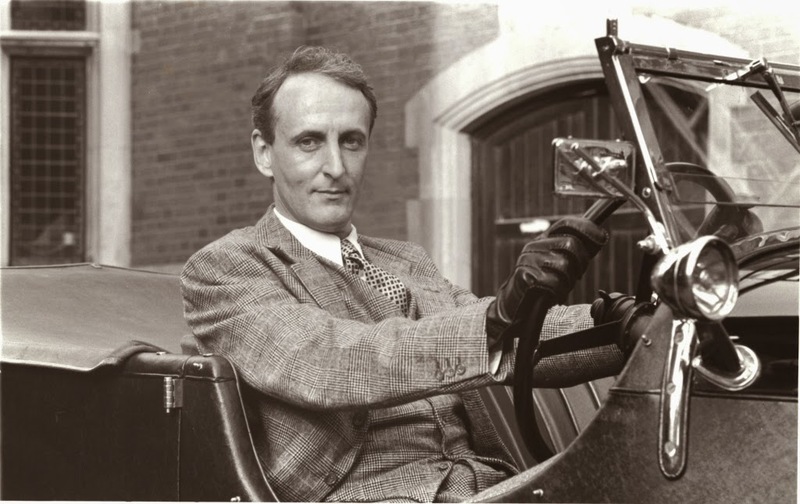 This is not surprising, since Hannah in thoroughly modern fashion has saddled him with a load of psychological baggage, rather in the manner of Charles Todd's seriously shell shocked Inspector Ian Rutledge, who gets sleuthing wisdom from the voice of the dead friend that he hears in his head (though Catchpool's problem does not arise, as one might have surmised given his age--32--from Great War service, but from some not altogether shocking childhood trauma). Catchpool does not seem, really, even to like Poirot, nor Poirot him. 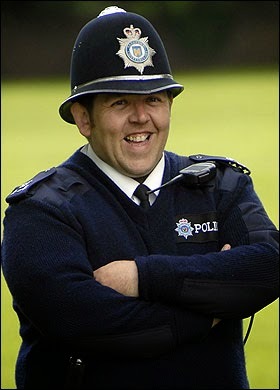 Catchpool also makes an absurd policeman. He has a morbid fear of dead bodies--the childhood trauma, you see--and runs away from the novel's crime scene (see below). Why on earth did he become a cop? At least he didn't take up the mortician trade! Despite some feckless grumbling, Catchpool allows Poirot to completely take over his investigation, doing everything on direction of the Belgian sleuth, who seemingly has no qualms about acting as investigative head in all but name and who misses no chance to rather cruelly belittle the poor schlub. I know Golden Age detective novels often are castigated today for unrealistic depictions of police procedure, but Hannah's novel really outdid her purported models in this regard. I found it so ridiculous as to be alienating. But what, you ask, is the crime scene from which Catchpool flees? ("Fly, Catchpool, fly!") Well, as you probably know by now from other reviews and HarperCollins' publicity campaign, three dead bodies are found in three rooms on three floors of a fashionable London hotel, the Bloxham, each with a monogrammed cuff link placed in his/her mouth. Based on the mysterious Jennie's earlier cryptic comment (see above), Poirot concludes that she is connected to this conundrum. Identification of the dead persons, two women and a man, leads the investigation to events that took place long ago in an English village, Great Holling. On orders from Poirot, Catchpool travels to the village and wanders rather aimlessly about, listening to anyone who will tell him anything about these past events. Here he finds a surprisingly freethinking vicar's widow, Margaret Ernst, who gives him (and readers) a huge amount of expository back story--two chapters worth--including information on a pair of tragic deaths that took place in the village way back before the First World War. Catchpool, after promising Ernst--whom he calls "Margaret"--that he will talk to no one else in the village about this information, departs to report back to his master, Poirot. Meanwhile Poirot does some leg work of his own in London, the most significant being an interview with an artist, Nancy Ducane, who also has a connection to Great Holling. Then Jennie shows up again, in a manner of speaking. Has there been a fourth unnatural death at the Bloxham Hotel? At this point Hannah starts laying out the solution(s) to the mystery, and this leads to perhaps the gravest fault of the book in my estimation: a veritable water torture of a mercilessly drawn-out explanation that extends over eight of the novel's twenty-five chapters, about 36% of the book. I not only found, like Simon Brett did in his review (if you follow the link to Brett's review beware the spoiler in the next-to-last paragraph), much of the explanation extremely implausible, I also found it, frankly, approaching the impenetrable. Nor, despite the convolution, was there really much surprise in the revelation of culpritude. This part of the book made extremely tedious reading, the kind of fictional murk one wades through simply out of a grim determination to somehow make it to the end. 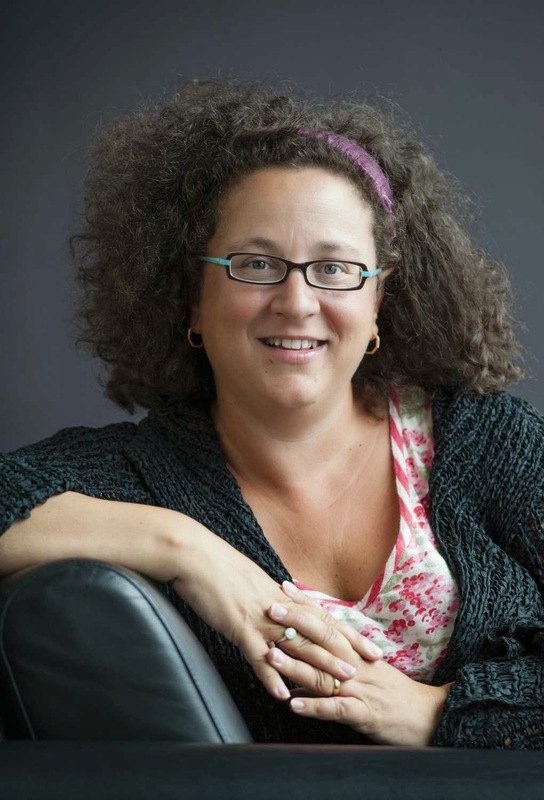 Sophie Hannah says she instinctively knows Christie's storytelling priorities, yet surely one of those priorities was narrating a mystery with clarity and cogency. On this count, The Monogram Murders is a failure. 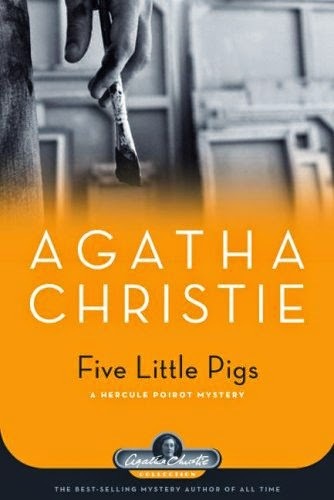 To the extent the novel resembles a Poirot mystery in terms of narrative it is one from later in Christie's career, when the Queen of Crime was losing her extraordinary facility with narrative: By the Pricking of My Thumbs (1968), say, or Hallowe'en Party (1969). There are clues in those novels, yes, and involved plots, but the deft storytelling is gone. Yet even those books I would rank higher than The Monogram Murders, which, out of the entire Christie canon of Poirot novels, probably is superior to just one, Elephants Can Remember (1972). If you really think The Monogram Murders captures the essence of Agatha Christie's Poirot mysteries from her best years, you should compare the elegant explanatory chapter in Murder on the Orient Express (1934)--7% of the novel--with the stodge offered by Hannah now, eighty years later. The difference illuminates why we call the Golden Age of detective fiction (1920s-1940s) golden. Additionally, I was underwhelmed with Hannah's depiction of character and setting. There's a waitress introduced in the first chapter who has some of the qualities of a memorable Christie person, but otherwise I found Hannah's characters a forgettable, charmless lot. As Noah Stewart points out in his splendid review of The Monogram Murders, the three most potentially interesting characters in the novel are all dead when we encounter them; and we only ever learn anything about them from the exceedingly long-winded individuals who have long hated them. Christie gave much more dramatic force to her celebrated retrospective death Poirot mystery, Five Little Pigs (1942). As for setting, Hannah's (deliberately) dreary village of Great Holling is most disappointing, essentially false and absolutely nothing like Christie in my view; but the Bloxham Hotel never really comes alive either. 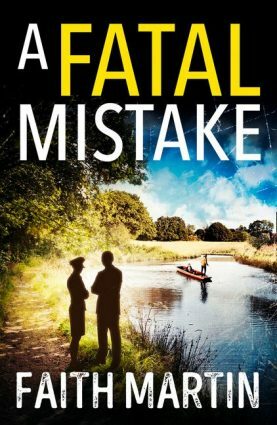 I am saddened to post such a negative review of this novel, because I have praised Sophie Hannah in the past for publicizing her great admiration for Christie and her belief that plot is actually important in a detective novel (this shouldn't be an exceptional assertion, but these days it seems to be). However, it is precisely because I believe plot is important in a detective novel that I am so disappointed with The Monogram Murders. The great Golden Age detective novels are not just about complexity, but complexity clarified. This is especially true of Agatha Christie's miraculous Golden Age mysteries, which have plots that are tricky yet comprehensible. Deft misdirection, not lumbering obfuscation, characterizes Christie's narratives. One can explain the brilliant solutions to novels like Murder on the Orient Express or The Murder of Roger Ackroyd (1926) in single sentences. I would not even care to try to explain the solution to The Monogram Murders. There are clues of a kind in this new Poirot mystery that often seem clearly inspired by Christie, but they are not carried off with the peerless panache of a Christie, let alone the fleet skill of, say, a Margery Allingham, John Dickson Carr, Ruth Rendell or Peter Lovesey, to name some additional immortals of English-style mystery. In his essay in Mysteries Unlocked (2014), "Agatha Christie and the Impossible Crime," John Curran, author of two highly-praised books on the Queen of Crime--he's read all her books several times, I believe--writes that "Christie's ingenuity...lay in the simplicity of her plots and it is that simplicity that accounts for her presence today on the shelves of bookshops and libraries worldwide." 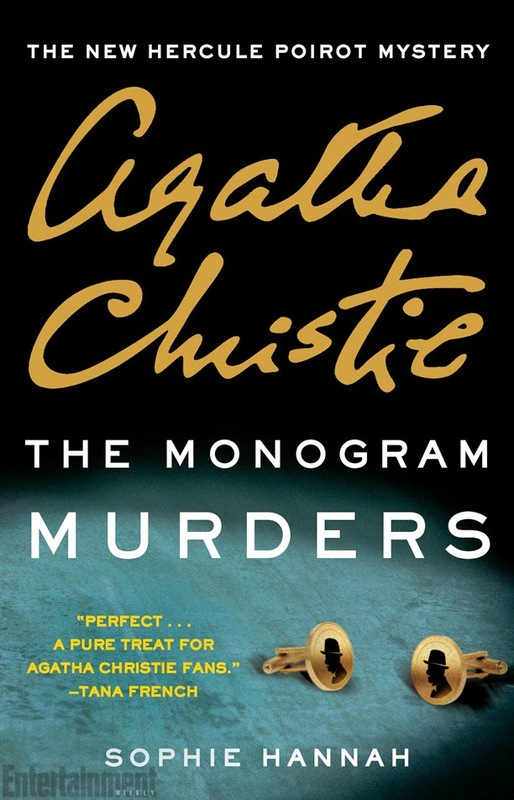 It is for this reason that in her review of The Monogram Murders Christie biographer Laura Thompson--she also, one imagines, has read all the Christie novels several times--contends that Hannah's mystery "actually bears very little resemblance to [an Agatha Christie novel]." Notes Thompson: "What is not there, crucially, is [Christie's] sublime simplicity." If, as I expect, Hannah produces another Poirot mystery, I hope she improves the clarity and cogency of her plot and makes her narrative much sprightlier. 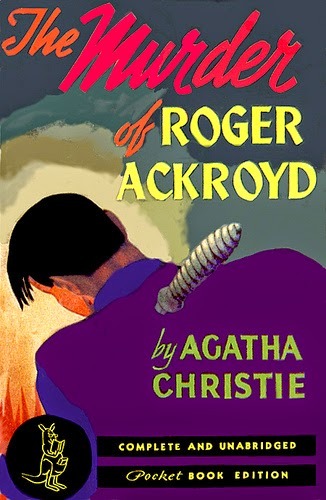 Since HarperCollins and Christie's heirs seem determined to make a go of a new Poirot series, I would like for the next novel in the series to be one I really can enjoy reading. Dare I also hope that Hannah might ditch the dire Catchpool and bring back Hastings? If she does, I think I have the perfect title for this novel: The Murder of Edward Catchpool. There surely would be no shortage of suspects in such a case. Great review Curt - I never thought I would be drawn to this, admittedly, but this sounds really slipshod and ill thought out. Thanks for reading it so we don't have to! Maybe the second time will be the charm for Hannah (I assume there will be a second time). Unless she makes some serious changes in her approach, however, I'm not reading the next one. A Christie for Christmas! Except it's not a Christie, of course. I really wouldn't have been cast down had it just been merely a matter of not getting Poirot quite right; but it doesn't just miss the essence of Poirot, it really misses the essence of Christie, which is unacceptable to me. Terrific critique! I am so glad that you and Noah have read and reviewed this....I can't imagine being desperate enough for something to read that I might pick this up. Bev, in this case there will *always* be some better book out there, in my opinion. And thanks. You managed to get across twice as much information in half as many words (sigh) -- someday I'll learn how to do that! I agree with all this, Curt; great review, thanks! Really insightful stuff. I think we should start the "Let's kill Catchpool!" club LOL. Noah, in regard to your last suggestion, I think the plot would be like Murder on the Orient Express times, like, 10,000, if you get my drift. And thanks, enjoyed your review too! By the way, when I read "not the brightest bulb in the Art Deco chandelier," I sputtered iced tea across my desk. A lovely phrase! Excellent! I always love to get a good splutter out of people. What a zinger in the last line, Curt. Poirot writes in the mud with his finger?! Oh, Sophie, how could you? I'm going to start a petition drive for that title. Thank you, Curt. You've saved me some money! A fine piece of reviewing. I must admit, I just about fell off my seat when I saw your fourth picture and its caption! I would not have read it anyway, but you have made a good case for my skipping it. I would feel sorry for Sophie Hannah except that it will sell very well so no need. Yes, I think Sophie Hannah will be fine, Tracy. ;) She lost me and some other bloggers, but she has the Times of London and New York, not to mention the WaPo, USA Today, etc., etc. Thanks for the warning, Curt! You're probably aware of my opinion on (most) pastiches. So I'll refine from rambling and quoting Stout on how they should roll their own. I think they'd rather roll in dough, TomCat, and I suppose one can't blame them! Although, really, I don't doubt Sophie Hannah's sincerity and that she is a genuine Christie fan. It's good to have her praising Christie, I just wish her book were closer to the real thing. As I posted on Steve/PuzzleDoc's review, I believe it would've been a smarter move if the estate had commissioned a book (or series) loosely tied to Christie's original work. For example, a series of detective novels featuring a Finnish private-investigator, named Sven Hjerson, written as if by “Ariadne Oliver.” That could've stood by itself and can still be considered a part of Christie's world. It was just stupid of the estate to go with Hercule Poirot (or any of the other main characters) when they haven't allowed any pastiches for decades, which means the only standard for an Agatha Christie novel is Agatha Christie herself. They aimed to high. I think the Sven Hjerson novel is a brilliant idea!! For years I've contemplated the idea of writing "Death Twixt Wind and Water" after the Harriet Vane novel mentioned by DLS -- six characters, a water mill, and Wilfrid being a goop about a handkerchief. Or "Death in the Pot" and "The Fountain Pen Murders", both of which are mentioned as Vane novels. Luckily for everyone, a book-length study of Sheridan LeFanu is considerably beyond my knowledge. There is one Sven Hjerson short story at least! I'm not sure if you're joking -- I'm not aware of such a story. I gather from Wikipedia that another author invented a book for Ariadne Oliver called "With Vinegar and Brown Paper" but it was a kind of joke ... Has someone actually done this? "They aimed too high." Yes, I agree! and missed the mark quite a way. I read this novel today, and I completely agree with you. It's hard to say this but....I really want to kill Edward Catchpool haft way through the book. He's a terrible mixture of incompetence, idiocy and annoyance. I think he killed off my interest in the book. By the way, the same author published another Poirot books this year. It would become a series, unfortunately. But I heard that Edward becomes a little better this time. Have you read it? What do you think?